Read Proverbs 18:21. 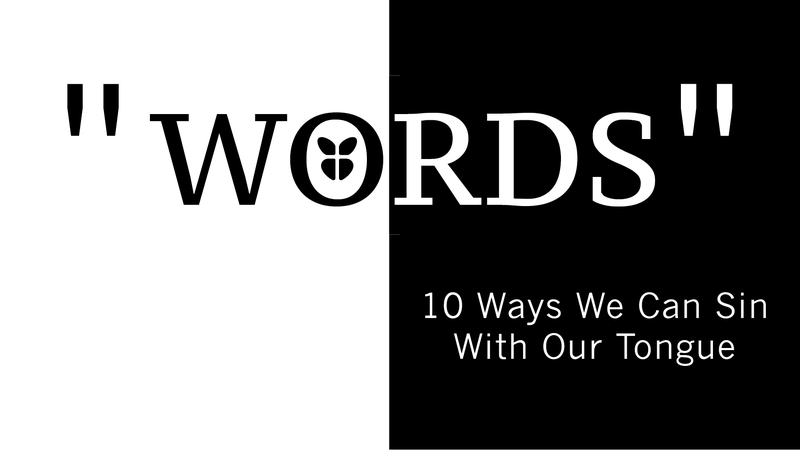 Today we will deal with ten ways we can produce death in us, rather than life. Isaiah 59:1-3 tells us, there is nothing wrong with God, but our sins separate us from Him. What we have done and said can separate us from God. It is very important to understand how words affect our lives. The reason lying is detestable to God, is because it is opposite to His nature. God doesn’t just speak truth, He is truth. To speak untruths is to speak completely against God’s nature. Lying can become a stronghold. Some people will keep lying and lying until it becomes natural to them. We can have good strongholds and bad strongholds. A bad stronghold is a habit we can’t break. A good remedy to overcome strongholds is to become accountable and correctable. Proverbs 6:12-15 says, worthless and wicked people plot evil and constantly stir up trouble. Because perversity is in his heart, it comes out of his mouth. Jesus said, “Out of the abundance of the heart the mouth speaks.” People who sow discord will reap disaster, tragedy. Are you really burdened about that person you are talking about? Is your heart broken about this person? God’s heart is broken, about that person! Don’t get excited when you hear the words: ‘Did you hear?’ Get into the habit of not listening to gossip or spreading gossip! This is a false and malicious report about someone. Never report what you heard from someone about someone else. Be careful – not all that you read on the internet is true! Slander is deadly. Also’ read 1 Corinthians 5:11 and 2 Corinthians 12:20 for more scriptural references. Let us stop giving negative reports. We want New Life to be known as a Church that has gracious speech. The Church should be the safest place to open up to others. The Church ought to be a haven for hurting people. James 5 says, to confess our faults to one another that we may be healed. And these ought not to be spread all over the world. When we curse, Paul said our words are like the stench of the grave (Romans 3:13-14). Some believers use manipulation when they say: ‘God told me this.’ How do you argue with that? The Bible says in Jeremiah, don’t say the Lord said when He hasn’t said. Don’t use God’s name to manipulate or get your way. That is blasphemy and it is a sin. Colossians 3:8 tells us to get rid of dirty language. When filthy language comes out of our mouth it is because it is already in the heart! If you struggle with lusts, telling filthy jokes can stir lust, so don’t do it. There are people who just love to argue and have a contentious spirit. Contentious = always arguing, antagonist, looking for a fight! No one wants to be around people who are always quarrelling, arguing, or have to always win an argument. Unbelief is a sin we commit with our mouths. If it is in our heart, then it will come out of our mouth. It usually comes in the form of negativity. Negative words are words of unbelief. Speak words that build up and not words that tear down, Hebrews 3:12-13. The Bible says, The 12 spies who were sent to scout the Promised Land – when they returned 10 gave a negative report, which the Bible called unbelief. Two of them gave a positive report, the Bible calls that faith. Faith is not denying the facts; faith is stating the truth. Joshua and Caleb never said there were no giants in the Promised Land – they said our God is bigger! Faith never denies reality! Our mouth must line up with God’s words and promises!